We have reduced the pricing of our Australian Note Acceptor Mars ZT1103AU Model to $19.98. This stock is brand new and sold as-is (no warranty). Product is heavily discounted as the model cannot support $5 and unfortunately cannot be upgraded. The Australian Note Acceptor Mars ZT1103AU Model uses multiple wavelength optical sensing and sophisticated data processing and sets the standard for rejecting invalid bills. The optical cross-channel sensors examine the bill path for foreign objects such as clear tape or strings, and the LRC triggers an automatic "lock out" when separated from the unit for added security. The bill acceptor has high level four way acceptance. Meaning Bills can be fed in any direction, face up or down, on accepts bills of all conditions. 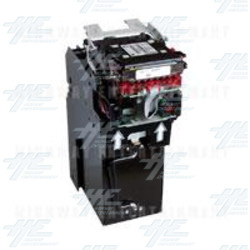 Furthermore, the acceptor also has a streamlined recognition system - sensors are embedded under the smooth plastic bill path, and the magnetic head and pinch roller have been eliminated to dramatically reduce jams, debris build up and the need for cleaning. PLEASE NOTE - THIS STOCK IS SOLD AS-IS, BRAND NEW. PRODUCT CANNOT SUPPORT $5 AND CANNOT BE UPGRADED. For more information or to make an inquiry please follow this link . Alternatively you can email as at or call 02 4968 9313.